Great colour combo, the knit is truly brilliant. wow, you make all these photographs? He looks very original!! The picture shows style and personality...great! You have an award in my blog! Another blog has given me an award and I want share it with you because you're one of my last 10 comments. Thanks! lots of personality in this photo. 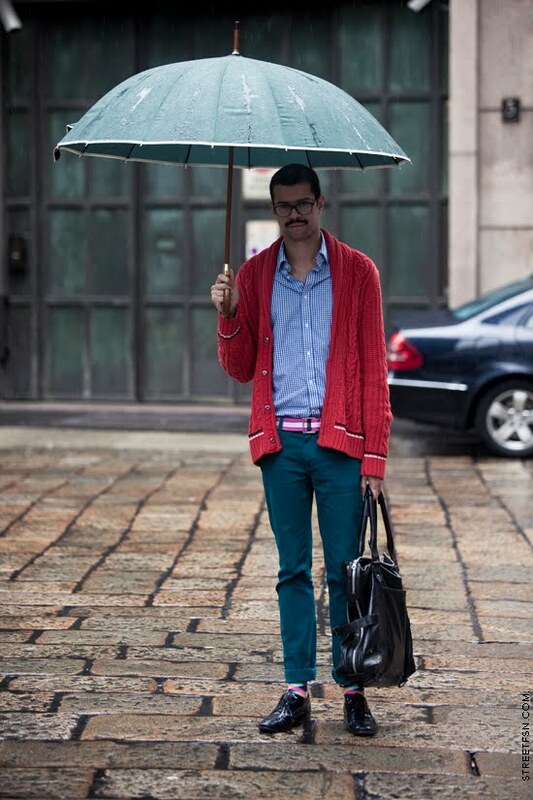 love the umbrella and quirky accessories. ...ofcourse Mr. Mancinetti changed the website of 'his magazine' the moment I posted this comment. You can not flip through the second issue anymore! Please use Facebook to check with the individuals I mentioned. Add Paul de Luna, Fabian Koelmel, Petrovski & Ramone, Pedro Dias to that list. BE AWARE!